Sitting in the bowels of the BFI at Stephen Street watching the 20 or so Wonderful London travel films in silence, I often dreamed of the day when these mesmerising scenes of life in the 1920s might be restored and released on DVD with a score. Finally, ithat day has come. In autumn last year, those of us who could get tickets to a soldout performance at the BFI London film festival were lucky enough to see six of these films in all their glory, fully restored from the original coloured nitrate prints. 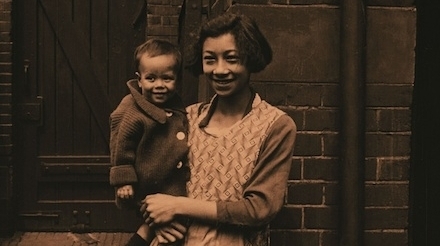 Now the BFI has released those films, along with six “extras” (in good black-and-white prints) on DVD with music by John Sweeney and essays from Bryony Dixon, Iain Sinclair, Jude Rogers and Sukhdev Sandhu. Although these films were simply shot commercial “fillers” to be shown before the main feature, they were remarkable in many ways. 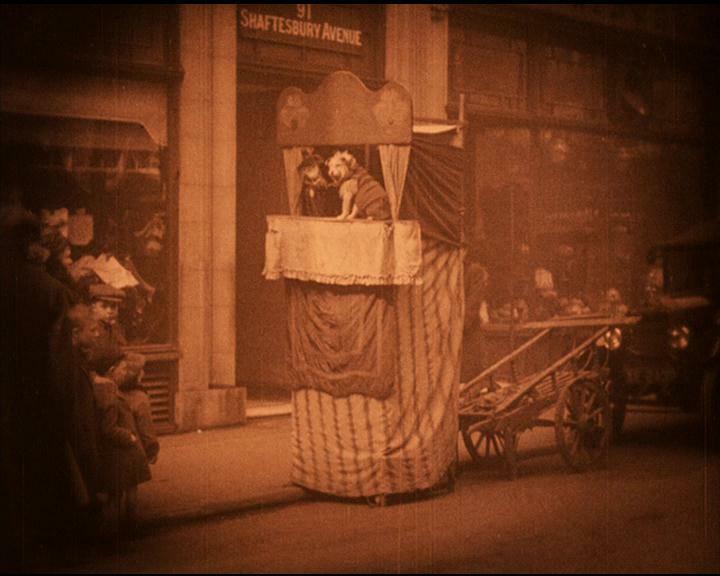 Most travel films of London in this period tended to flit between landmarks with a few explanatory intertiles. They were, dare I say it, ever-so-slightly dull. Having devoted a lot of time to watching travelogues of London, I often groan as repeated shots of Buckingham Palace, Big Ben and Tower Bridge pass before my eyes. In this context, the Wonderful London films are quite treat. Paying as much attention to pet cemeteries and street performers as they do to London’s best-known tourist destinations, they are, I think, antecedents to Norman Cohen’s The London Nobody Knows (1967) and even Patrick Keiller’s London (1994, below). 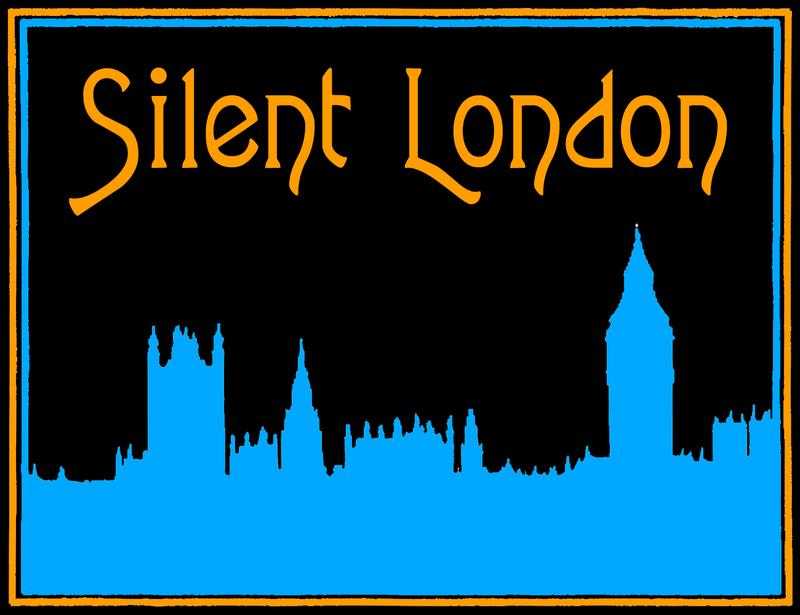 Each Wonderful London instalment goes on a thematic excursion. Barging through London charts the course of the Regent’s canal, Cosmopolitan London goes in search of the city’s diverse ethnic communities, London’s Sunday looks at what Londoners do on their day off, and so on. 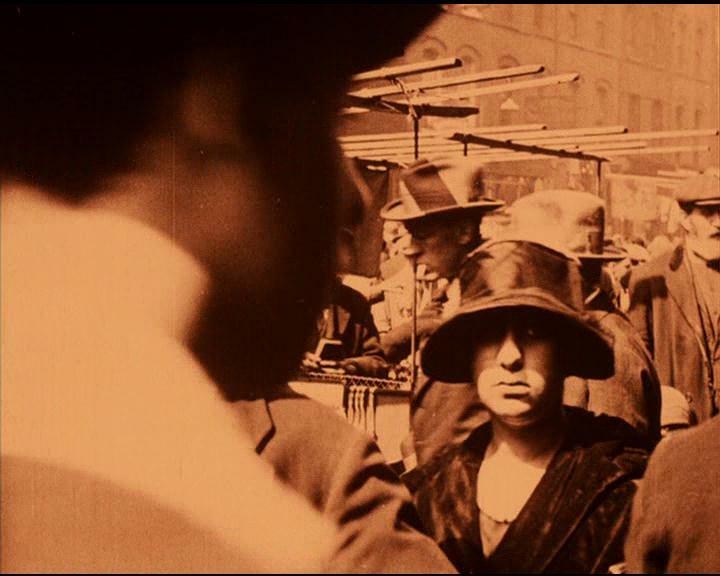 The conversational intertitles, which can veer between amusing and patronising, invite viewers to go on a journey through the city. 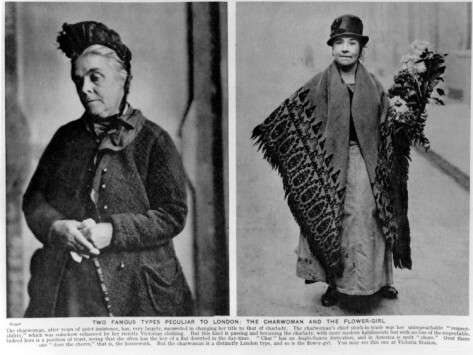 In her essay, BFI silent film curator Bryony Dixon notes how these films exploited the popularity of St John Adcock’s 1922 magazine Wonderful London. In this publication, famous writers described various aspects of the capital for readers eager to discover London in all its complexity. 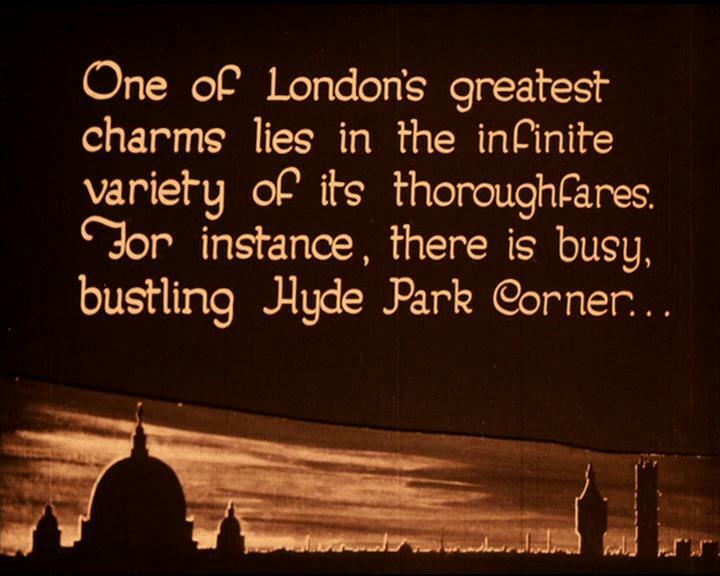 Likewise, the intertitles of Barging through London proclaim that these films attempted to show London “from an entirely new and fascinating angle”. And that angle, interestingly enough, is often that of a walker. When not on board a barge, the camera is usually positioned on the street: it peers down alleyways and into the faces of passing shoppers. The intertitles even invite us to “amble along” and “walk around the corner”. Watching Wonderful London we become walking tourists exploring London’s cinematic highways and byways. We can stop to look more closely at commemorative plaques (London Off the Track), the blooms in florists’ windows (Flowers of London) and the questionable merchandise at Caledonian Market (London’s Contrasts). Most interestingly though, we can explore districts usually ignored by travel films and now changed beyond recognition. 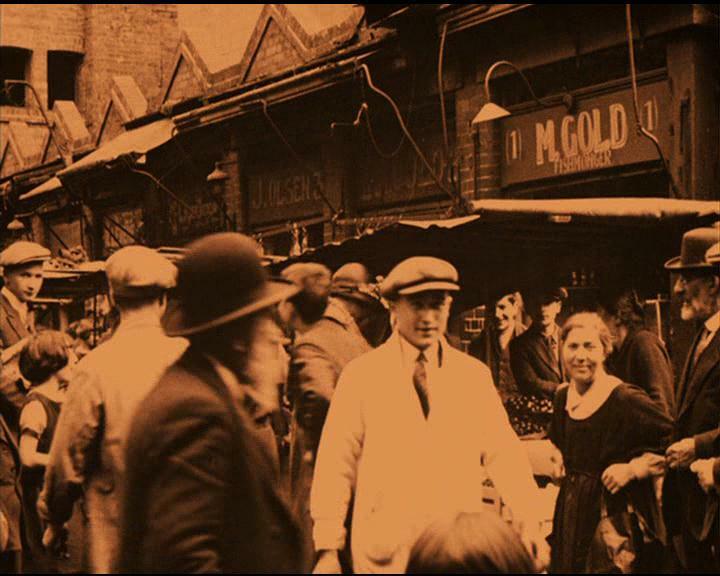 When Cosmopolitan London visits the Italian, Jewish and Chinese neighbourhoods of Clerkenwell, Whitechapel and Limehouse, it reveals pre-war immigrant communities which have long since moved on. The intertitles also reveal a casual racism that might be hard to stomach for some viewers. Sukhdev Sandhu’s essay eloquently defends the film: however offensive the intertitles might be, he says, the images are to be cherished as the archival traces of forgotten immigrant populations. A shot of a wrecker’s ball at work in Dickens’ London reveals how these films have preserved what the city could not. Wonderful London documents a capital living in the aftermath of the Great War (shots of the Cenotaph abound), looking towards its future but nostalgic for its past. For anyone who in contemplative moments has yearned to explore London in the silent era, then watching these unassuming little travel films offers a unique opportunity to step into the past. As a wistful score by John Sweeney whisks you away from the present, you become a tourist in a bygone city. You wander through a capital where donkey carts coexist with electric trams and stylishly dressed flappers shimmy past flower girls straight out of Shaw’s Pygmalion. Watching Wonderful London you discover a city as familiar as it is different: full of quirks, full of life, and fascinating for it. Karolina Kendall-Bush is a doctoral researcher at UCL where she is writing a thesis on the ambulatory experience of prewar London in films and walking tours. 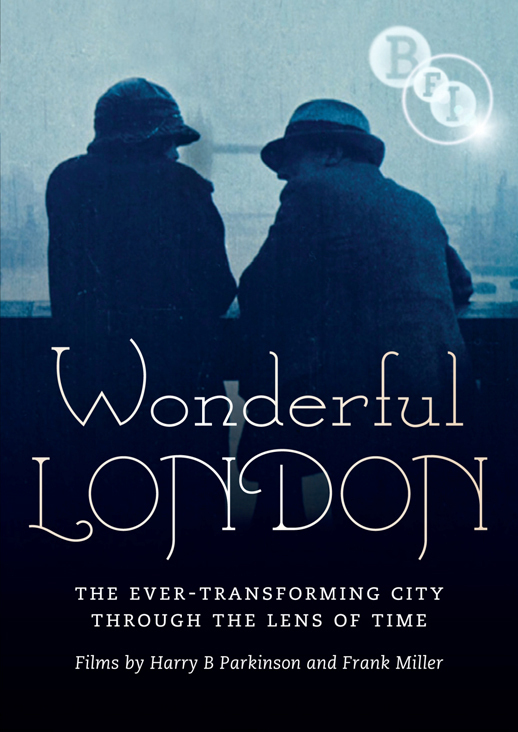 The Wonderful London DVD is released by the BFI on 23 July 2012, RRP £19.99. There will also be a launch event on Wednesday 18 July at Rough Trade East, where Smoke: A London Peculiar and the BFI will present a selection of the films with a live soundtrack by Saint Etienne’s Bob Stanley and Smoke editors Jude Rogers and Matt Haynes. The films will be introduced by Bryony Dixon and some of the writers who have contributed to the DVD booklet. Doors open at 7pm and admission is free. Click here for more details.